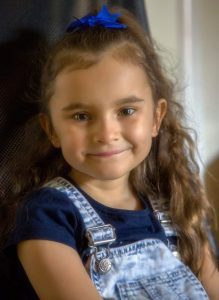 Chloe is 7 years old and has a rare blood disorder Diamond Blackfan Anaemia and needs a matching blood stem cell donor. This means Chloe’s body doesn’t produce red blood cells and needs regular blood transfusions to actually stay alive. Chloe has recently developed antibodies in her blood and urgently needs a blood stem cell donation. BUT … a matching donor has not yet been found. You can register as a potential blood stem cell donor and go on standby to save the life of Chloe, or anyone else in her position. If you’re between the ages of 17-55, please register below.